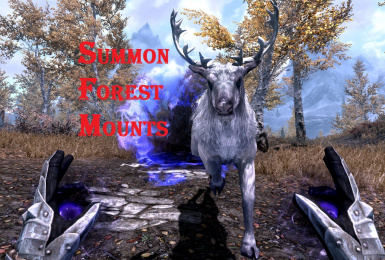 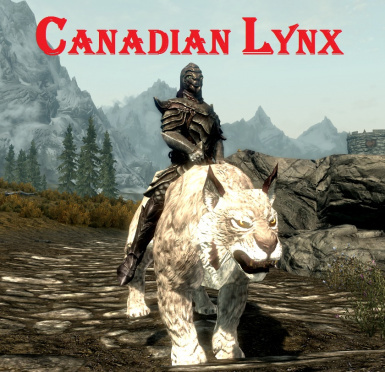 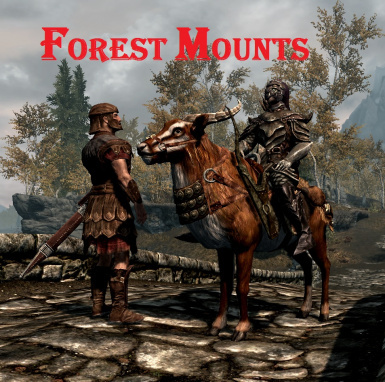 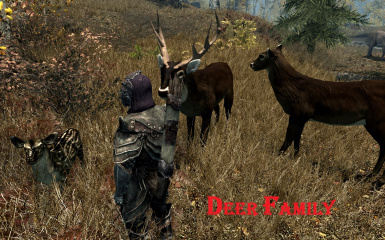 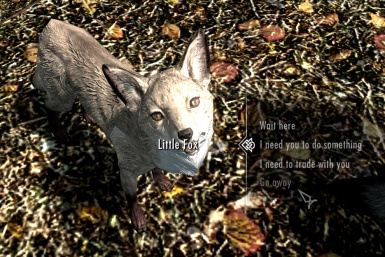 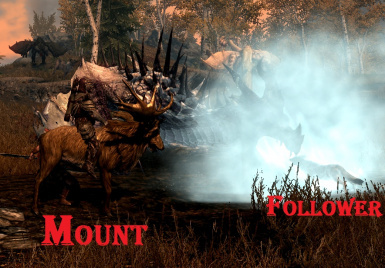 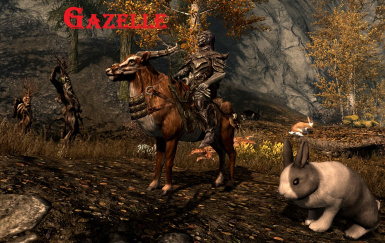 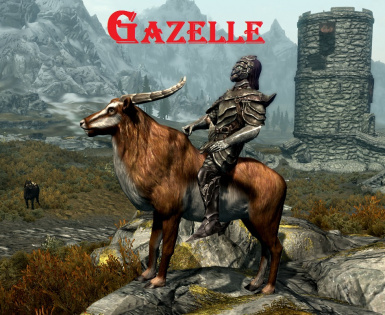 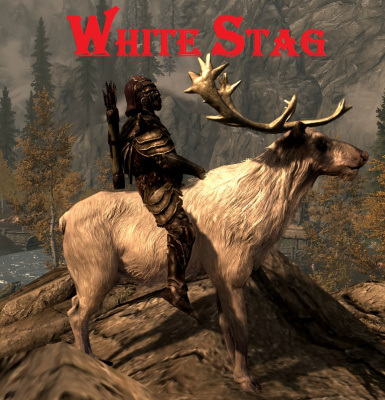 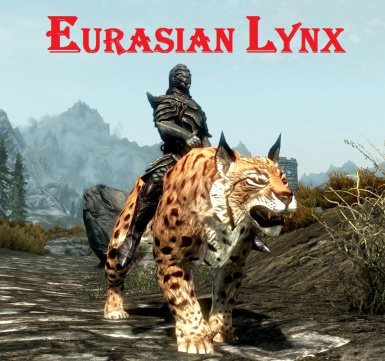 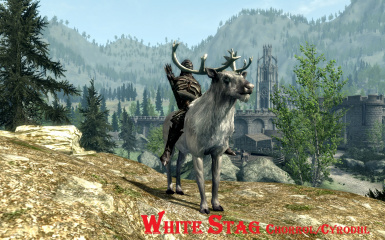 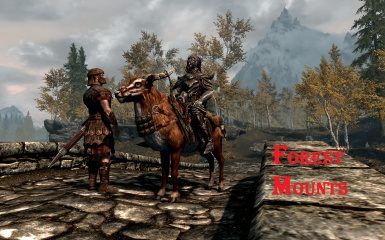 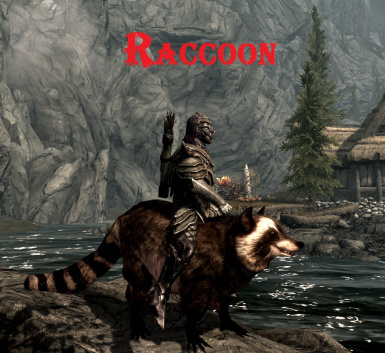 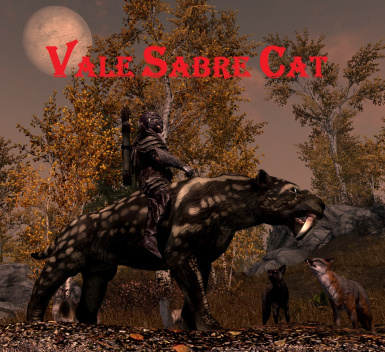 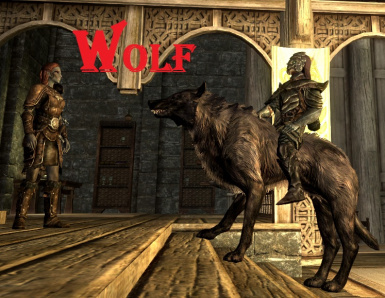 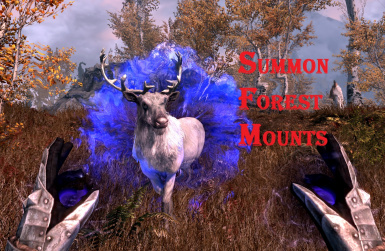 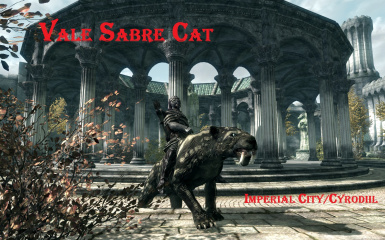 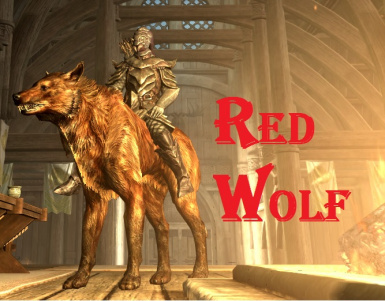 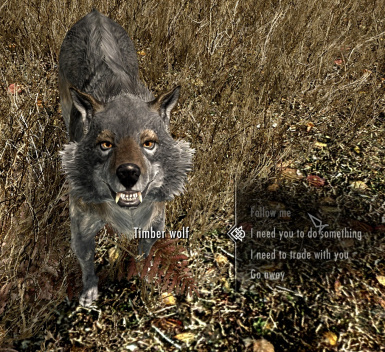 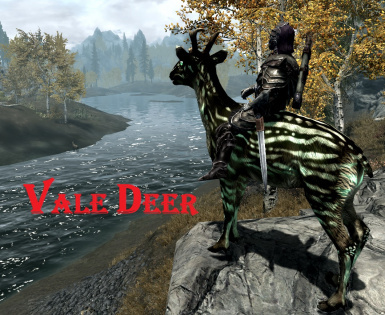 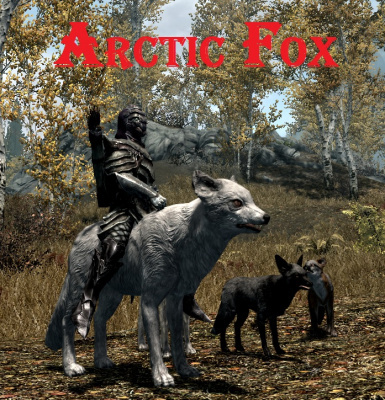 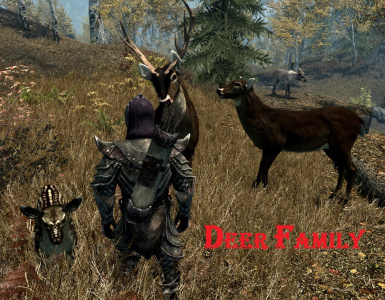 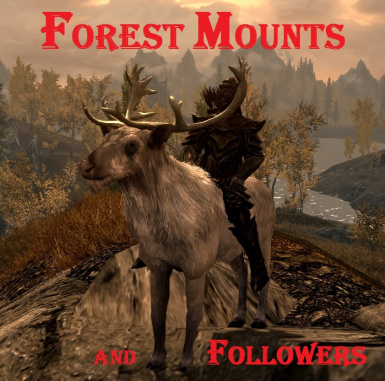 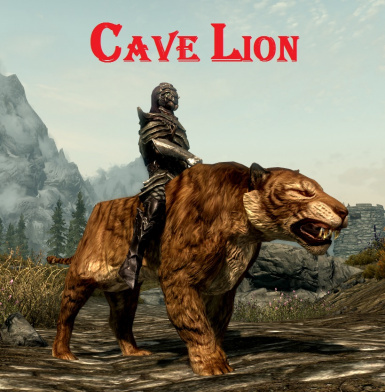 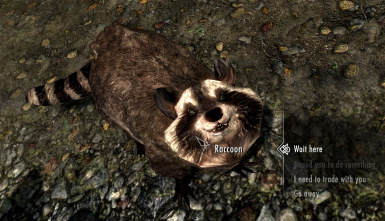 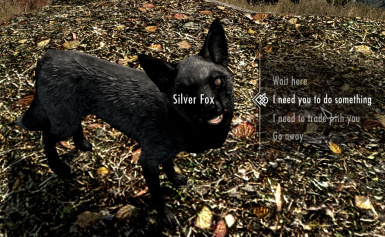 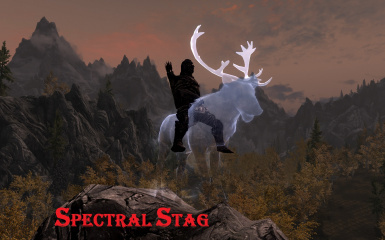 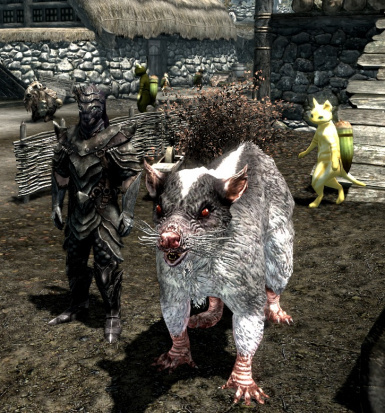 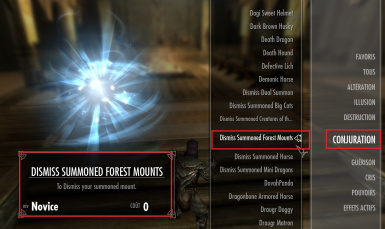 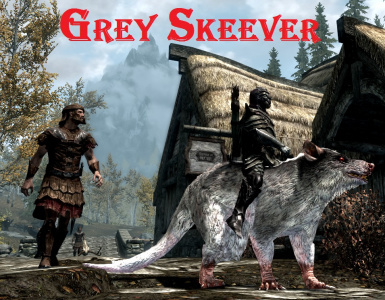 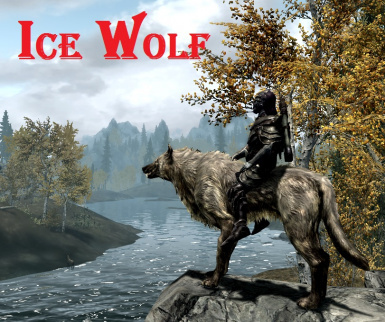 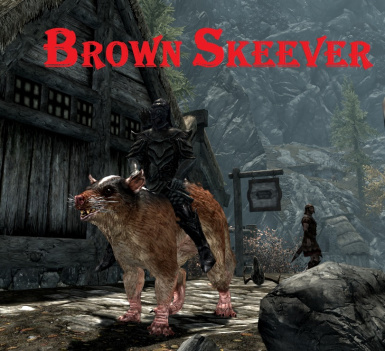 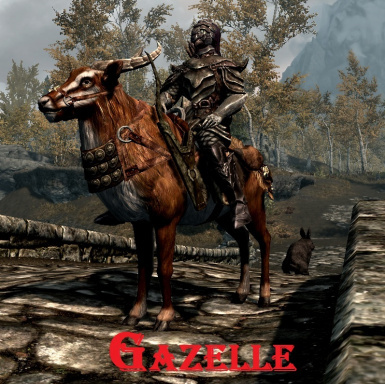 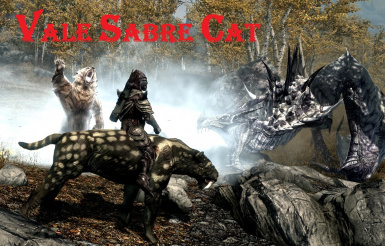 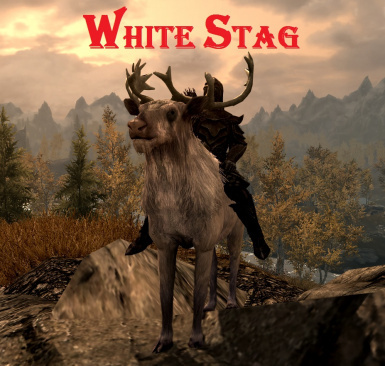 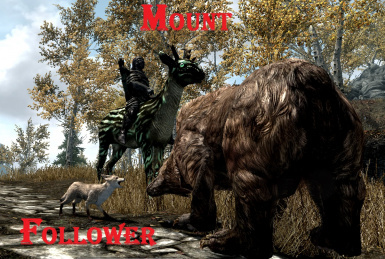 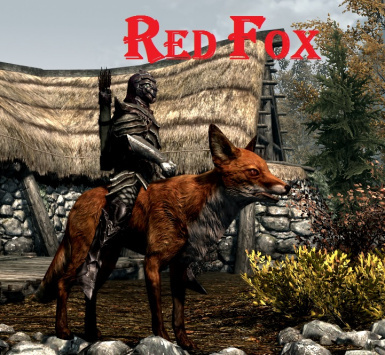 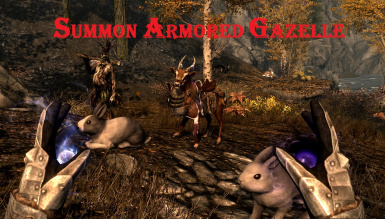 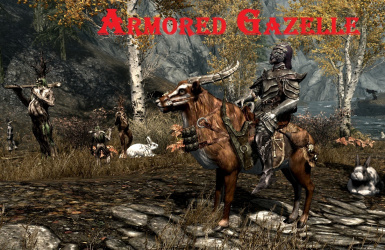 version 1.3: You can easily DISMISS when you want with a "Spell tome:Dismiss Summoned Forest Mounts"
23 Summonable Mounts: Armored Gazelle, Gazelle, Vale Deer, Male Elk*, Female Elk, Moose*, Bull Moose, White Stag, Spectral Stag, Foxes (2), Wolves (3), Vale Sabrecat, Skeevers (2), Beaver, Raccoon, Cave Lion, Eurasian Lynx, Canadian Lynx, Cougar, wherever you want. 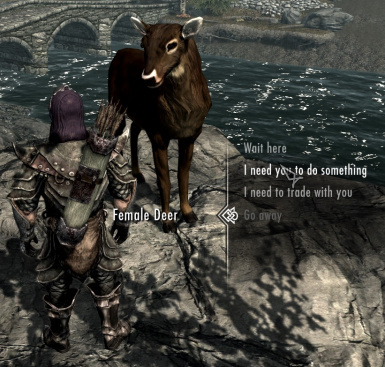 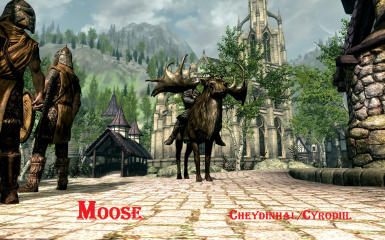 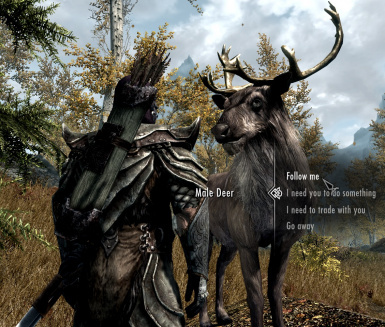 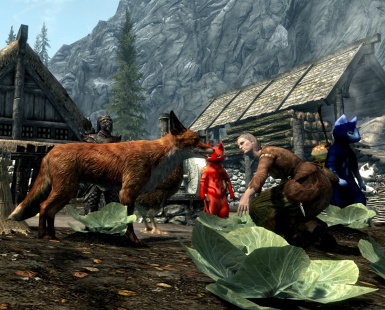 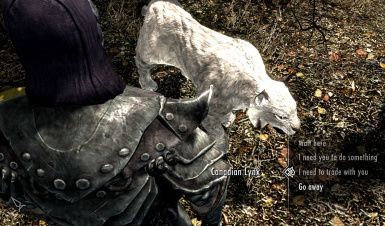 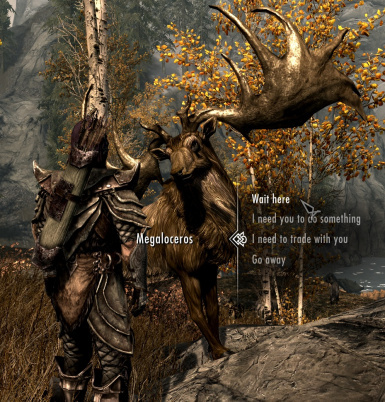 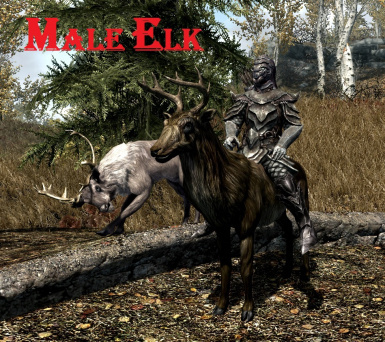 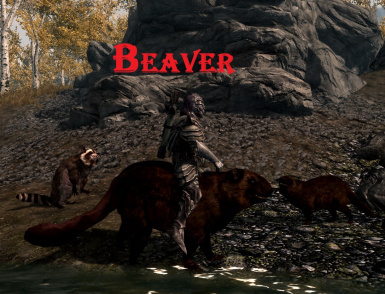 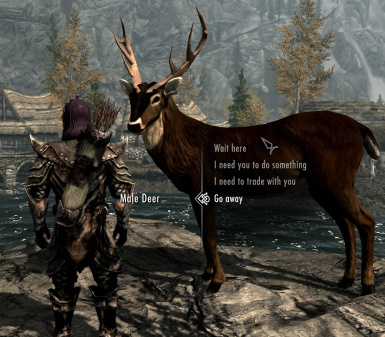 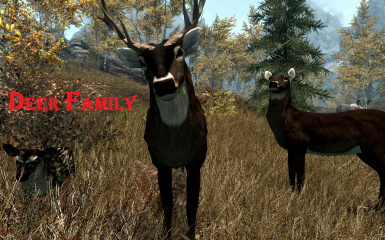 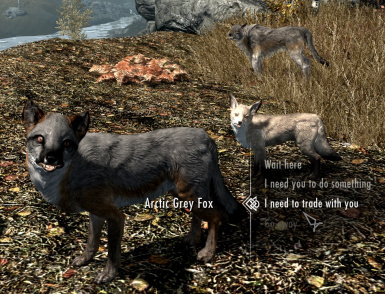 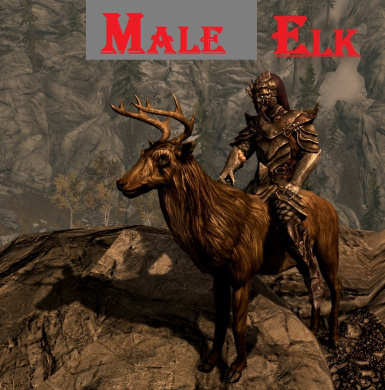 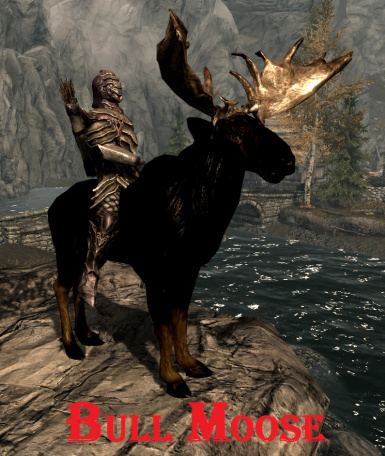 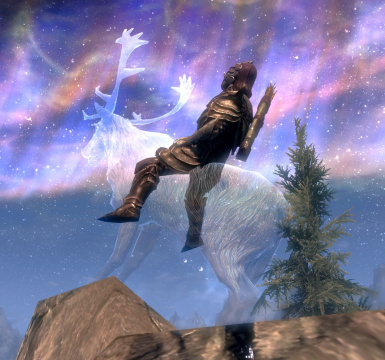 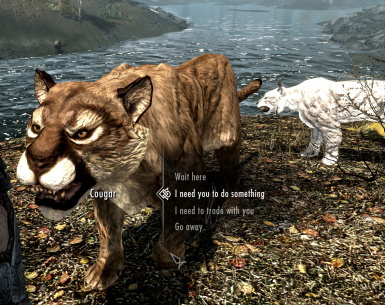 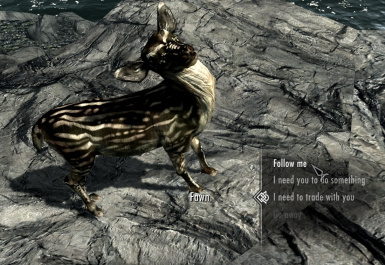 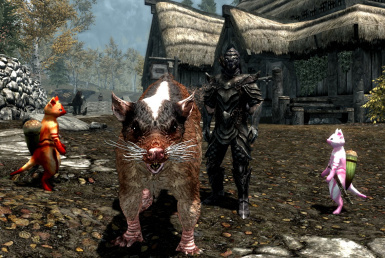 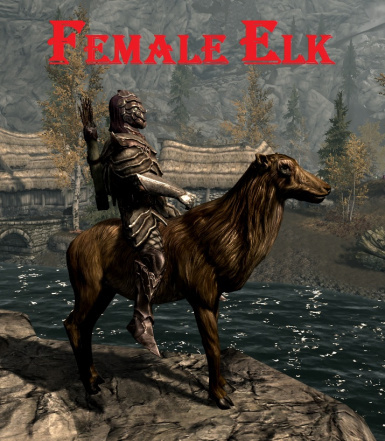 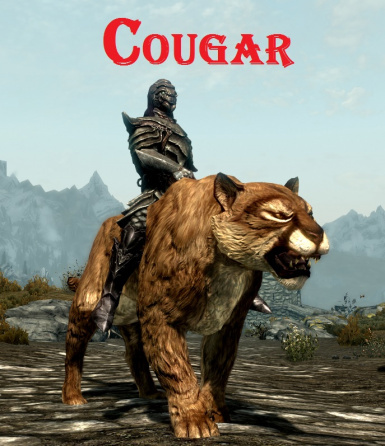 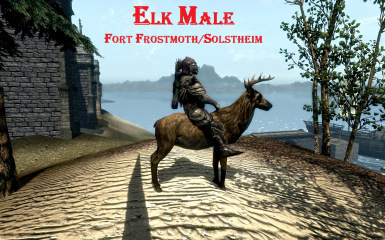 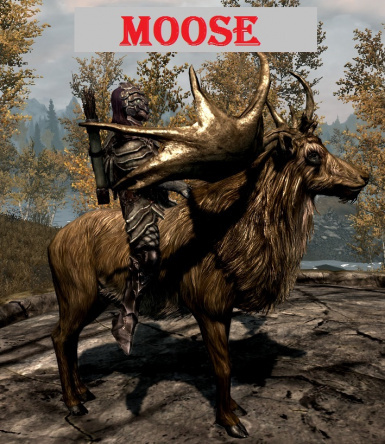 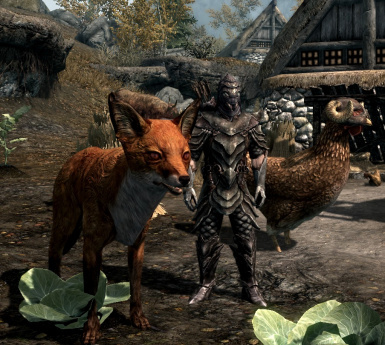 You can easily DISMISS when you want with a "Spell tome:Dismiss Summoned Forest Mounts"
* Bethesda calls these animals : "Male Elk" for my Moose - "Female Elk" for my Male Elk ! 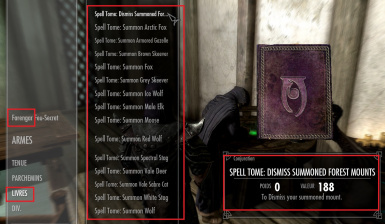 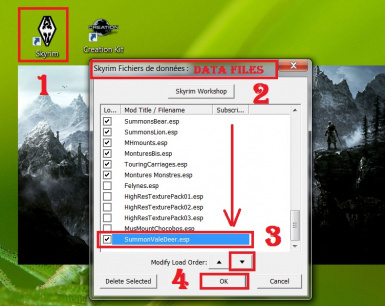 You can find the “Spell tome: Summon XXXX” and the "Spell tome:Dismiss Summoned Forest Mounts" at Farengar Secret-Fire in Dragonsreach/Fort Dragon (Whitherun/Blancherive) or with an other Spell Vendor (ex: Sybille Stentor in the Blue Palace/Palais Bleu in Solitude). 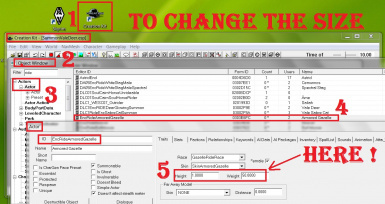 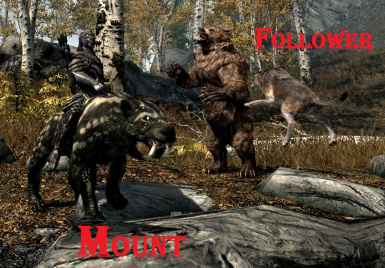 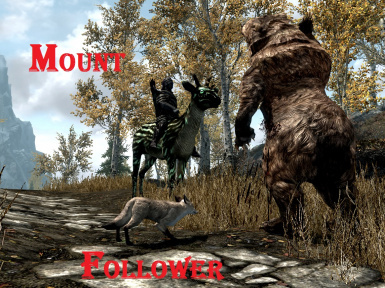 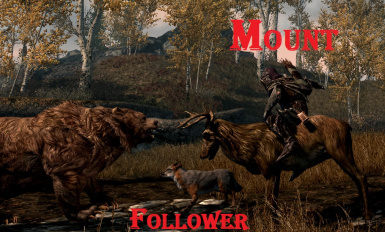 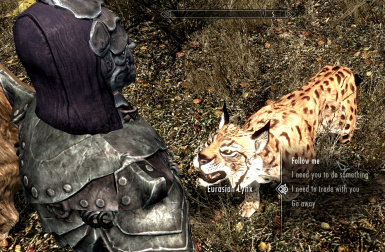 1) You can only have one Follower at a time: if you want a different one (in my other mods), you need to dismiss the first one before you recruit them. 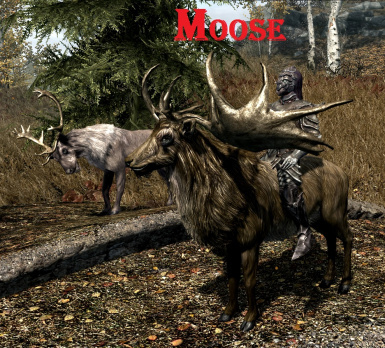 3) When you mount a Elk/Moose/Deer you must be patient a few seconds before moving !